Welcoming Scott Rogers to the My Natural Beet Podcast! Scott works as the "founder and director of the Institute for Mindfulness Studies and of the University of Miami School of Law's Mindfulness in Law Program." He shares mindfulness and other contemplative practices with those in high stress and high consequence environments - including lawyers and law students. The first time I was introduced to Scott's work was when my Dad shared with me a little about Scott's "Mindfulness and the Law" presentation he gave over the phone to those who attended an Inns of Court meeting in Pensacola, Florida. I remember feeling happy to learn that someone (this guy!) was taking the time to talk to busy lawyers and judges about the importance of present moment awareness - mindfulness - and how starting a mindful practice would leave you feeling content, calm and in general, feeling more at ease while practicing law. Scott travels all over the United States introducing this unique tool to lawyers and lawyers-to-be. This episode is insightful and hopeful because Scott shares with us many of the steps that are currently being taken in legal education and in the legal profession to promote law student and lawyer wellbeing. Scott even mentions the work being done by current Florida Bar President, Michael Higer, who is addressing lawyer wellness and mental health. 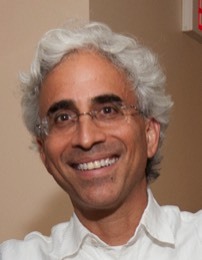 To give you some background on Scott's work in mindfulness it is important to note that he along with Dr. Amishi Jha are the program directors at UMindfulness which is the University of Miami's Mindfulness Research and Practice Initiative where research is conducted on the efficacy and benefits of short-term mindfulness practices. This initiative was started in 2010 and has been evolving ever since. UM's mindfulness initiative is a testament to the open minded-ness of the administration and receptiveness of the students, faculty, and surrounding community. It was a natural sign of growth when the law school decided to include Mindfulness and the law programs. At the University of Miami School of Law, there are at least four courses offered: Mindful Leadership, Mindful Ethics, Mindfulness in the Law (each semester), Mindfulness in Motivating Business Compliance in the Law and there are also a few opportunities to practice present moment awareness around the law school campus. For example, a weekly mindful walk around the lake, a short stretch and mindful movement the in student lounge, and a sitting practice with faculty. As a former law student who attended a once-a-week meditation group - thanks to Professor Krieger at Florida State University College of Law - I am in awe of the resources available at UM School of Law. What a wonderful tool to equip students with and as a student, what a wonderful tool to be equipped with! A huge shout out to Na'an Stop the jammin' band from Boulder, Colorado for the accompanying podcast music. Their music makes you feel good and want to get up and dance! Thank you for tuning in. I appreciate your feedback and words so please feel free to reach out to me. Do not be shy! If this episode was inspiring, made you laugh, or gave you something new to think about consider sharing it with a friend and/or leaving a review on iTunes. The more the merrier my friends! Also, if you want to Nominate a Guest to be on the MNB Podcast, feel free to do that by clicking here.